Breaking Bad recap: Scarface, Walt, and Junior. Can Walt really be this clueless? I don’t want to be Mr. Plot Hole Whiner about Season 5, but what happened to Mike being a person of interest in a major investigation here? The city of Albuquerque had only 34 murders in 2011. The deaths of Gus, Hector, and Tyrus should be a really big deal, to say nothing of the drug smuggling. The DEA knows that Mike is dirty, but they don’t have evidence on him. Wouldn’t someone be following him around as he’s busy laying the groundwork for all these payoffs and the resuscitation of the drug organization? Shouldn’t Mike and Walt at least be suspicious that Mike’s under surveillance? The contrast between the extreme sloppiness of the handling of this point and the precise attention to detail that went into developing the new roving lab scheme was striking. But that material I absolutely loved. In particular, the cook montage was lovely and a much-needed break besides. The show’s been wallowing of late in Walt’s depravity; that montage gave us a crucial window into his point of view. There’s a beauty to the unfolding of the chemical reactions, and an artistry to developing the best cook in the business. 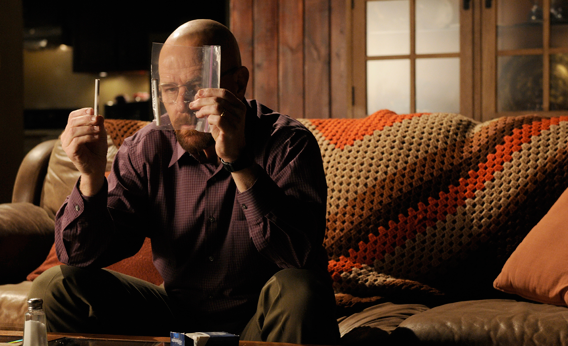 Walt isn’t just a killer, he’s a craftsman of real talent. The vagaries of life left him without an outlet for that talent until he discovered the exciting world of illegal methamphetamine manufacture, and now that he’s found it he loves it. He doesn’t intend to give it up. But of course Walt knew he was a talented chemist long before meth. What’s new is his creepy skill at manipulating people—Marie this time around. Here, though, he’s much clumsier. After explaining that part of his job is to “handle” Mike, he sets about doing a terrible job of it. On something like the question of paying off Mike’s guys, if you’re going to fold, fold early. Show that you’re reasonable and magnanimous. Instead, Walt went all the way to the edge—fully confirming Mike’s sense that Walt’s despicable—and then paid up anyway. Mike’s a longtime criminal and a practical man who had no problem playing second banana to Gus. On paper, he and Walt could be effective partners. But Walt’s not even trying to make it work. And under stress, he all too quickly fell out of the surrogate dad role he’d been playing with Jesse. Even a crook’s gotta have some friends. Right? Meanwhile, moral qualms aside, I can’t help but be pleased with Jesse’s progress as a criminal mind. He follows up his magnet insight from the season premiere with the tent idea this week, and it seems he’s mastered the cook process. If he manages to stay alive, he could really amount to something as a criminal. Or he could do the smart thing and take a big bag full of money, get out of town, and enroll in some college chemistry classes. If there was some doubt about where we’re heading, we’re then given the Scarface foreshadowing—Walt and Junior, side by side, riveted by the climactic scene in which Tony Montana guns down dozens of adversaries only to finally be shot in the back. Seemed a bit heavy-handed to me, but the expression on Skyler’s face was priceless. Yet Walt’s hubris is quite different from Montana’s. He’s not, for starters, clouding his judgment by getting high on his own supply. But he has become dangerously complacent. He was obviously in great danger when the relationship with Gus turned sour, but then he was keenly aware of his own peril. A similar awareness helped lead to the inspired magnet plot. But now he seems out to lunch. His wife and his business partner hate his guts. His crooked lawyer wants to get out. And the DEA knows that Mike was Gus’ enforcer and that the blue meth was the output of Gus’ chemist. Once blue meth resurfaces on the streets of Albuquerque and Mike is still at large, how long is it going to take the cops to completely shut him down? Walt isn’t even pursuing some notional exit strategy. He’s just sitting calmly, enjoying a beer and watching TV in a house full of toxic gas. I’ve always admired the man’s problem-solving abilities, but it’s frustrating to watch him be so oblivious. Am I missing something? Is Walt less clueless than he seems to me?